Please supply a name and contact telephone number and state how many people in your party adults and children. 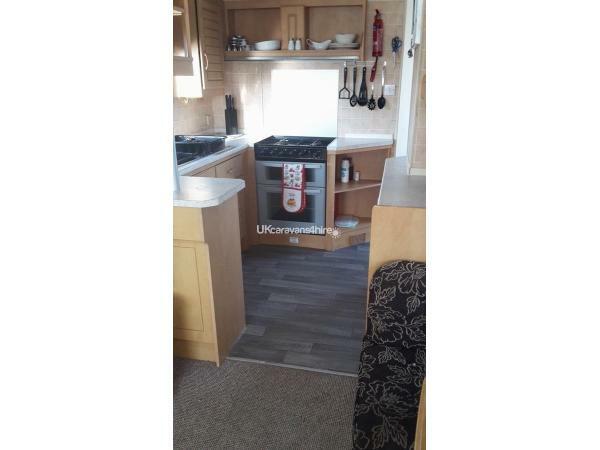 Parkside 13 is a very comfortable holiday home consisting of a lounge with gas fire and a 32inch tv and a DVD player along with a selection of DVDs for all the family. There is also a separate seated dining area.the splendid kitchen is fully equipped with everything you could need to make your self catering holiday enjoyable. 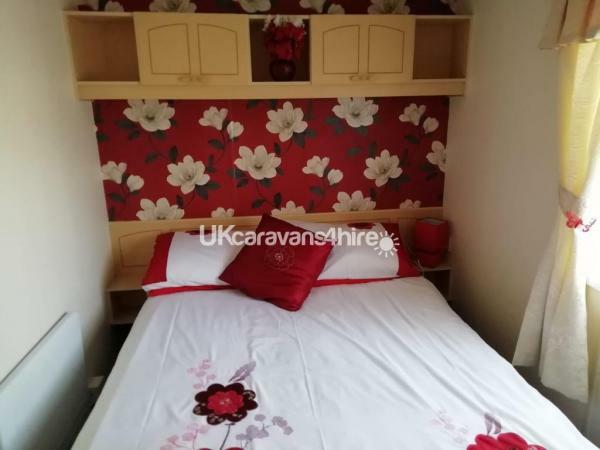 There are 3 bedrooms, 1 double and two twin rooms one of the twin rooms has a TV/dvd combi and a games console along with a selection of games. All bedrooms have good wardrobe space and there are electric panel heaters fitted. 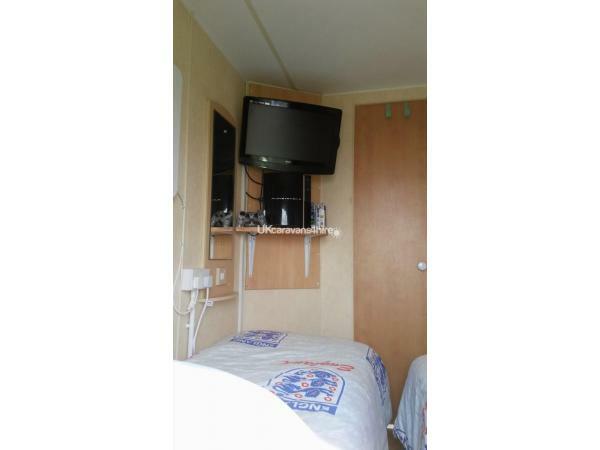 There is a pull out sofa bed in the lounge thus making this caravan 8 berth. There is a shower room and a separate toilet. All bedding is supplied and beds made up on your arrival at no extra cost also travel cot and high chairs available on request also at no extra cost. Hair dryer iron & ironing board plus all cleaning equipment is supplied along with tea coffee and sugar. 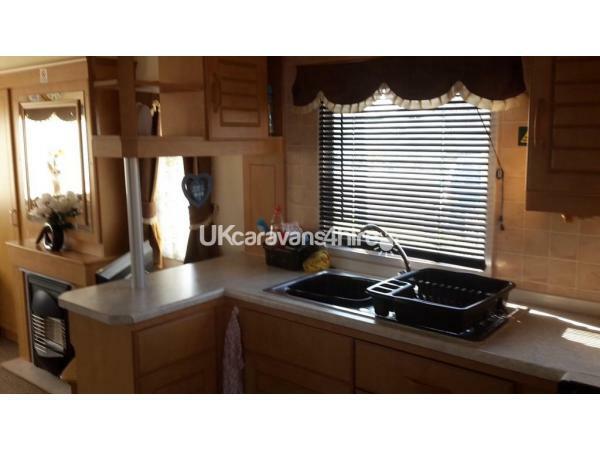 The caravan has its own parking bay very close to the caravan plus there are 2 enclosed verandas with table & chairs. All prices quoted are based on 4 people (2 adults & 2 children under 15 years)and include passes into Butlins.Additional passes can be obtained at an additional cost. 2019 PRICES AVAILABLE..